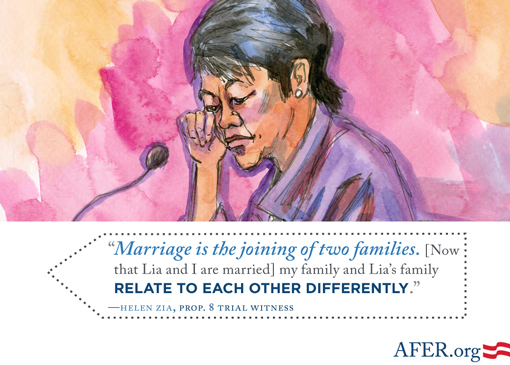 Day 5 of marriage equality’s truth commission opened with testimony from Helen Zia. An acclaimed writer and daughter of Chinese immigrants, Zia shared her experiences with discrimination and how her life changed when she married her wife in 2008. Then Dr. Michael Lamb took the stand. 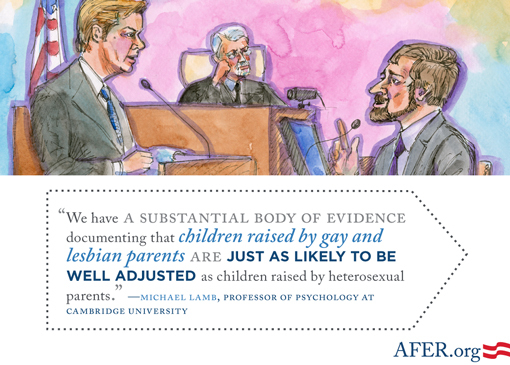 A professor at the University of Cambridge, Dr. Lamb testified that the children of gay and lesbian parents are just as likely to be well-adjusted as children raised by heterosexual parents, and that the children of gay and lesbian parents would benefit if their parents were able to marry.